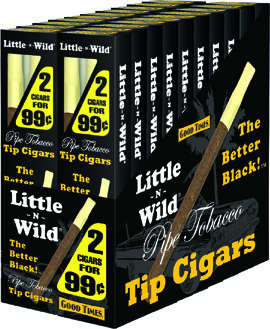 Good Times Little and Wild Pack 2/20/24 (40 Cigars) Pre-Priced 2 for 99 Cents. Compare to Black & Mild, only a smoother and less sweet Cigar. Try it once, you will love the taste and the savings. 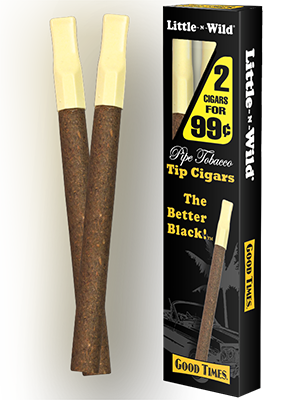 This cigar is as close as it can be to Black & Mild by the testimony of most consumers who tested it. This 25 Upright box has 25 Tip cigars. It is a great deal for consumers and retailers as well.